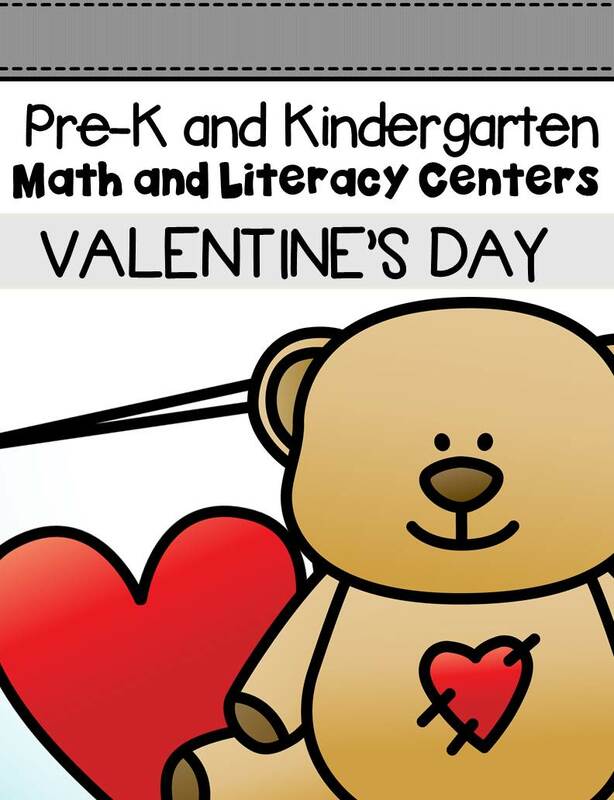 This pack is filled with engaging math and literacy centers for Pre-K and Kindergarten students with a Valentine’s Day theme. Looking for Valentine’s Day themed Pre-K centers? 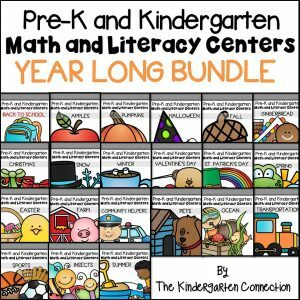 Kindergarten centers too? These are for you! 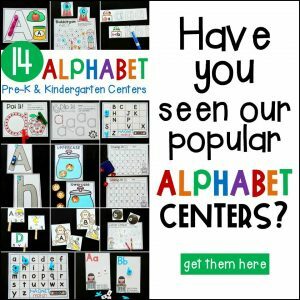 ABC Clip Cards (2 levels) – Clip the letter that matches the letter shown. (Uppercase to Uppercase matching, and Uppercase to Lowercase matching options). 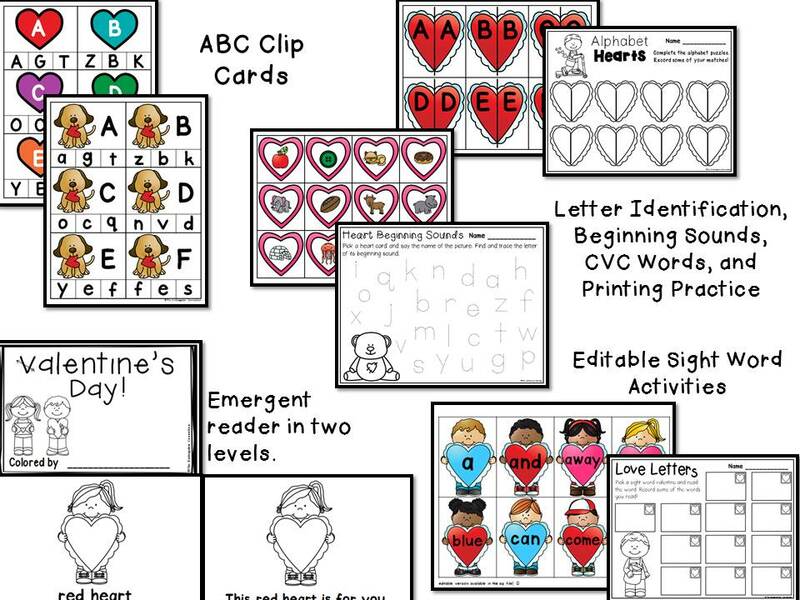 “Valentine’s Day!” Emergent Reader (2 levels) – print a simple label style version, or one with a predictable sentence pattern. Copy two-sided and cut in half for two books! Alphabet Hearts – Complete the heart alphabet puzzles and record some of your matches! Upper and lowercase options both included (can mix and match also). * One option includes the letter written on the heart cards near each picture for matching. Colorful Hearts (2 levels) – Match up the heart puzzles to their color words. Then color the hearts to match! * One option includes matching colors to their like colors as well as color words for support. Mail the Digraphs (2 levels) – Look at the pictures and mail the Valentines by putting them in the right mailbox! Beginning digraphs sh, ch, th, and wh. 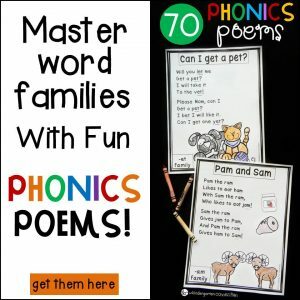 * One option includes the digraphs written on the picture cards for matching assistance. Cut and paste recording sheets also included. Heart CVC Puzzles (2 sets) -Match up the broken hearts by putting the CVC words with their pictures. * One set includes picture matching along with words. Love Letter Sight Words (Editable) – Pick a sight word valentine and read the word. Record some of the words you read! * Editable version included in the ZIP file. Valentine’s Write It (Write the Room) – Pick a card (valentine related items). Find and record the word next to its matching picture on the recording sheet. 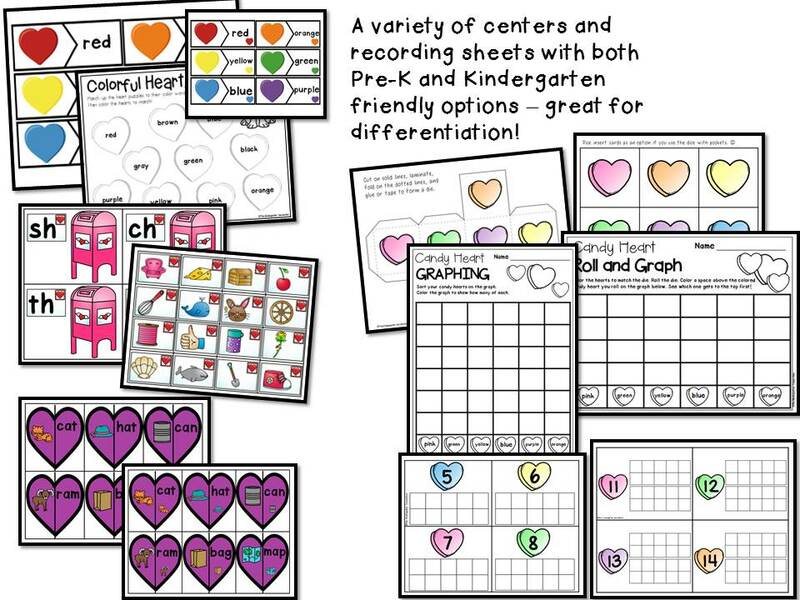 Candy Heart Graphing – Sort your candy hearts on the graph. Color the graph to show how many of each. (To be used with boxed candy hearts – 2 options depending on if your boxes have white or blue hearts). Candy Heart Roll and Graph – Color the hearts to match the included cut and assemble die. Roll the die. Color a space above the colored candy heart you roll on the graph below. See which one gets to the top first! * Inserts also included for if you use the plastic sleeve dice. Valen-TEENS (reading teen numbers) – Pick a heart card and read the teen number. Color a 20 frame to match! 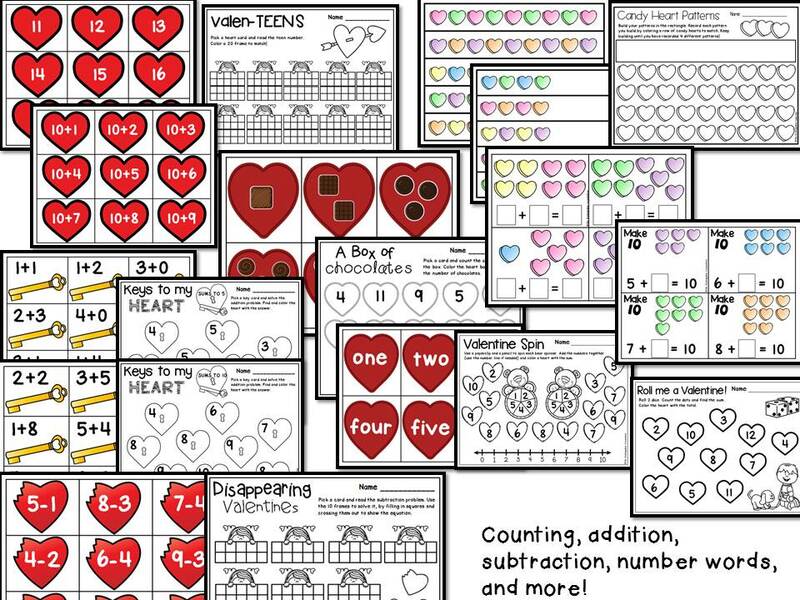 Valen-TEENS (adding onto 10 to make a teen) – Pick a heart card and solve the +10 equation to make a teen number. Color a 20 frame to match! Keys to My Heart (2 levels) – Pick a key card and solve the addition problem. Find and color the heart with the answer. Disappearing Valentines – Pick a card and read the subtraction problem. Use a 10 frame to solve it, by filling in squares and crossing them out to show the equation. A Box of Chocolates (Counting sets to 12) – Pick a card and count the chocolates in the box. Color the heart box that shows the number of chocolates. A Box of Chocolates (Number Words to 12) – Pick a card and read the number word on the chocolate box. Color the heart box that shows the number. Candy Heart Pattern Strips – Pattern strips for AB, ABC, AAB, and ABB patterns. Options to copy the patterns and challenges for extending them. Candy Heart Pattern Activity Sheet – Build your patterns in the rectangle. 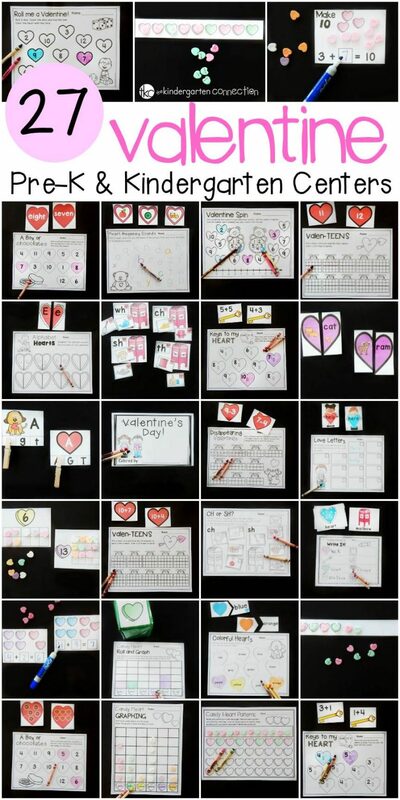 Record each pattern you build by coloring a row of candy hearts to match. Keep building until you have recorded 4 different patterns! Candy Heart Counting Cards (10 frames and 20 frames) – You can use these with actual candy hearts or with heart beads, play dough, or any small manipulative! Candy Heart Addition Cards – Use a dry erase marker and fill in the boxes to create the addition sentence shown by the candy hearts. (laminate the cards or put in a sheet protector). Candy Heart Make 10 – Use real candy hearts or any small manipulative to add to the hearts already shown on the cards until you reach 10. Fill in the equation to show how many were needed to make 10. Valentine Spin – Use a paperclip and a pencil to spin each bear spinner. Add the numbers together (use the number line if needed) and color a heart with the sum. Roll Me a Valentine – Roll 2 dice. Count the dots and find the sum. Color the heart with the total.